Hey mommies, daddies and grandparents! 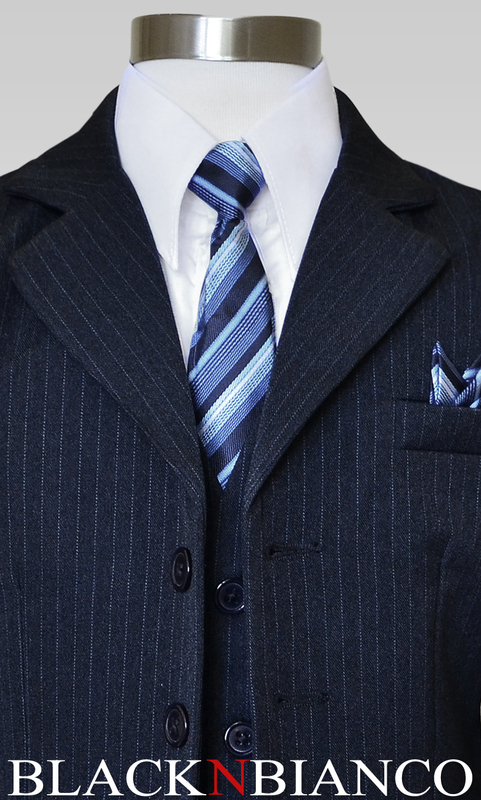 Our boys dark navy pinstripe suit just arrived! 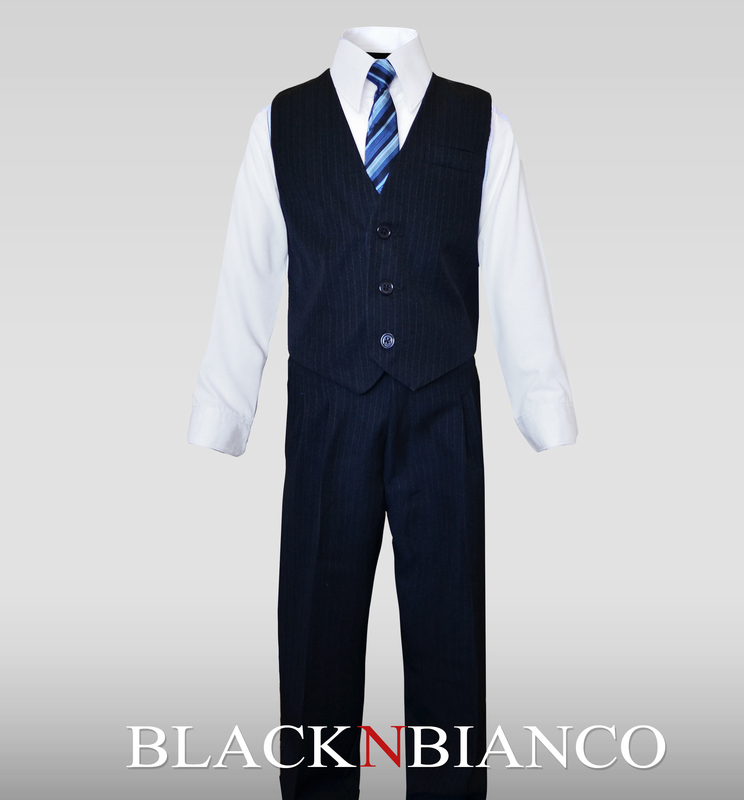 This classic elegant three piece formal suit is perfect for any special event, especially for graduations and ring bearers. 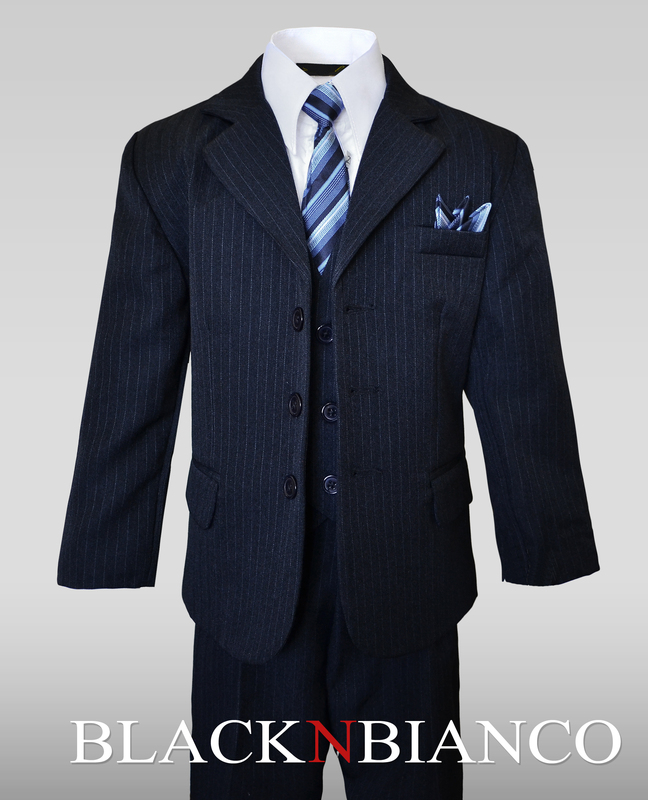 It comes with a dark navy pinstripe blazer with three buttons, a matching vest, slacks, white dress shirt and a striped clip on tie. 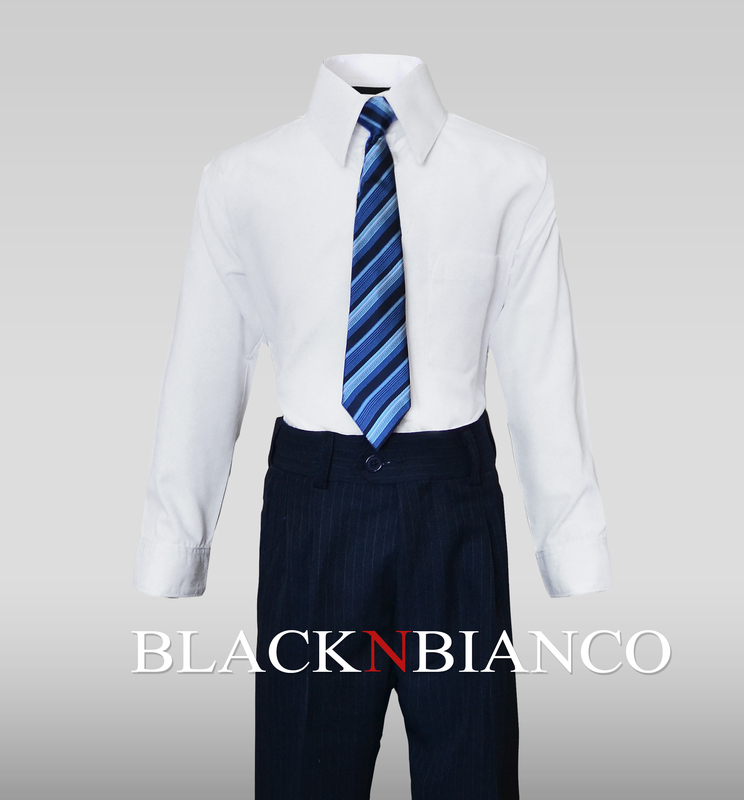 When your son or grandson puts on this handsome suit your little boy will resemble a little man! 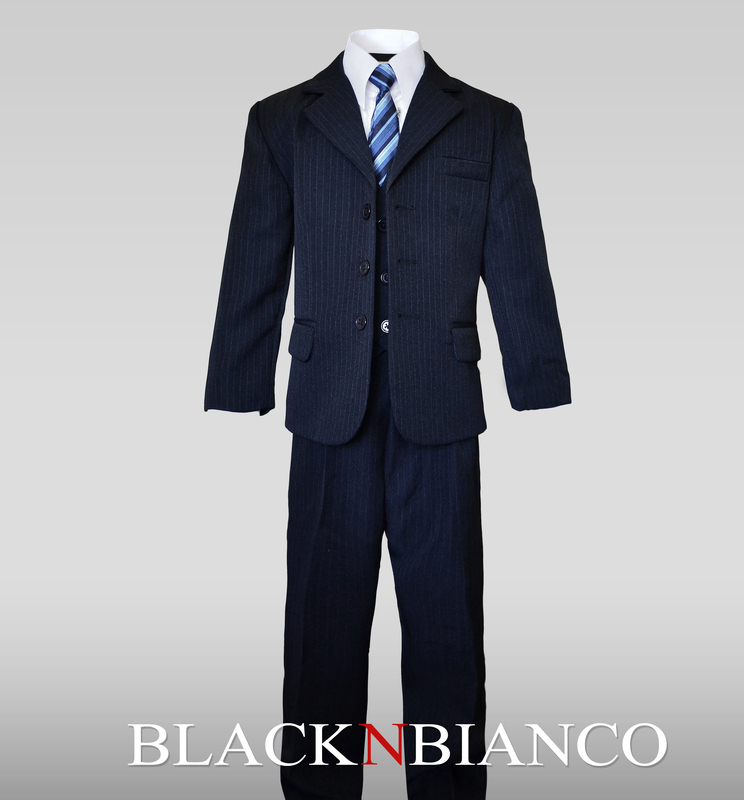 For more information on our boys navy suit please click here.